A 2019 leading governorship aspirant of Peoples Democratic Party (PDP) in Kwara State, Alhaji Mohammed Ibrahim Ajia, has expressed grief over the demise of a renowned Islamic scholar in Ilorin, Sheik Yahaya Salaty. Describing the death of the late muslim cleric, popularly known as Amiru Jehis as painful, Ajia said his transition had depleted the ranks of scholars in the ancient city of Ilorin. In a statement issued in Ilorin, the governorship aspirant noted that the late Salaty was a scholar of repute, who used his modest scholarship to propagate doctrines of Islam. He said it was saddening that such amiable and respected cleric could depart the surface of the earth in this period that his spiritual contribution to peaceful co-existence in Ilorin city would be mostly required. 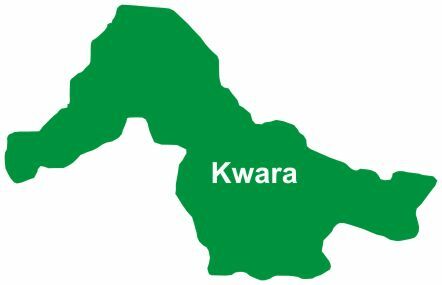 The governorship hopeful, who is also the founder of Mohammed Ajia Ibrahim Foundation (MAI Foundation) that has impacted in the lives of many Kwarans, stated that the Islamic scholar would sorely be missed. He commiserated with the Emir of Ilorin, Salaty families, Ilorin Ulamah, friends and associates of the late cleric over his transition and prayed Almighty Allah to forgive his inadequacies and admit him to paradise. "The transition of our respected and amiable Islamic Scholar, Sheikh Yahaya Salaty also known as Amiru Jehis was very painful for us because he was widely known and acknowledged as a scholar of repute. "We never knew that his departure from the surface of the earth would be so soon, especially now that his commitment and spiritual guidance would be needed to surmount our multifarious challenges. "While we mourn the late scholar and express our heart felt sympathy to the Emir of Ilorin, Ulamah, families and friends among others over the death of the cleric, we pray Almighty Allah to forgive his inadequacies and shortcomings throughout his sojourn on this planet earth and admit him to paradise", the statement partly quoted Ajia as saying.